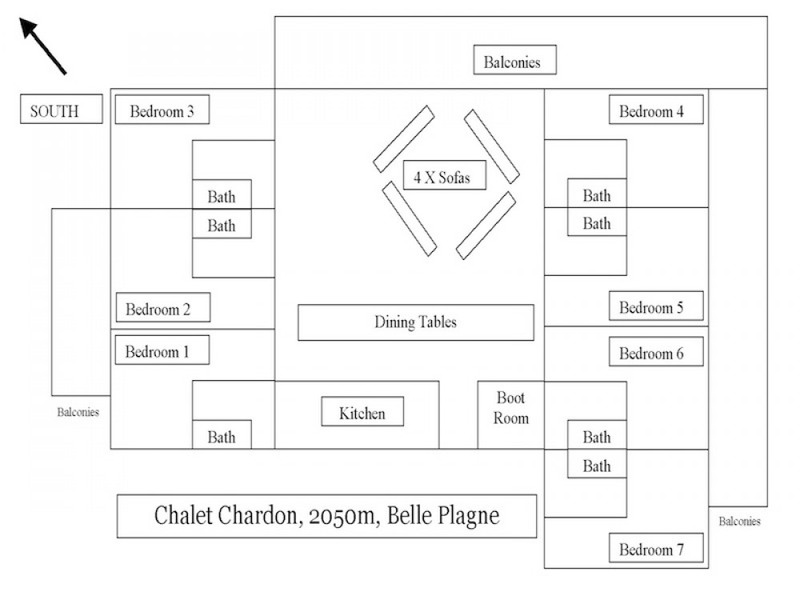 Chalet Chardon is a large Chalet-Style Apartment located right by the Blue piste that joins Belle Plagne and Plagne Bellecote. Access to the piste is directly from the ski/ snowboard storage room, and access to and from the Chalet is possible throughout the season due to the high elevation of 2050m. Centrally located for easy access to the huge Paradiski Area - the linked resorts of La Plagne and Les Arcs (425kms of pistes, 2x Glaciers). The chalet-apartment is located in a development that uses the traditional Savoyard style of construction with stone and timber. All rooms are well-appointed with traditional plaster and wood panelling on the walls and tiled floors in the public areas. The bedrooms and bathrooms are fitted with pine furniture - including unique stencilling detail. - Catering Opions available. Contact us for details and rates. - Log fire and balcony from the lounge with views of the piste. 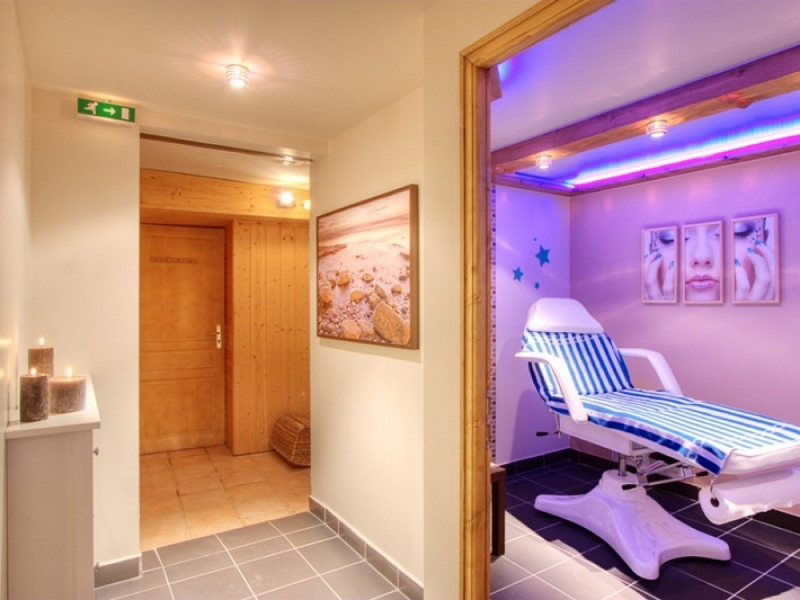 - Spa: swimming pool, sauna, hot-tub and gym complex available, no charge. - Lift Passes / Transfers / Ski School can be arranged. Discount rates for Equipment Hire (-30%). - all linen, bath and hand towels. Beds made up for arrival (not sofa beds). 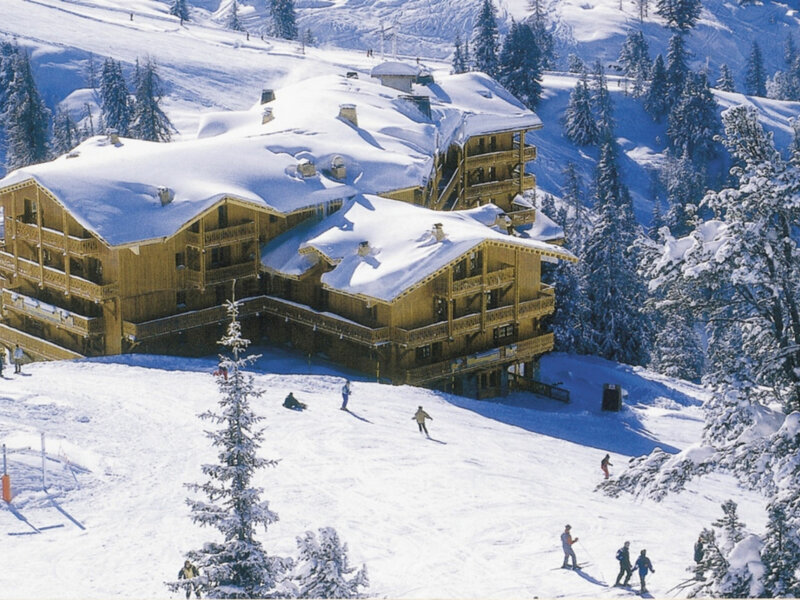 Ski in - ski out @ 2050m elevation at Belle Plagne, the highest village in La Plagne. Only 250metres walk to the centre of the village. The village provides a selection of shops, bars and restaurants. Only 2x lifts away from the Les Arcs - La Plagne telecabine link, and only 2x lifts away from the La Plagne Bellecote Glacier at 3250m. 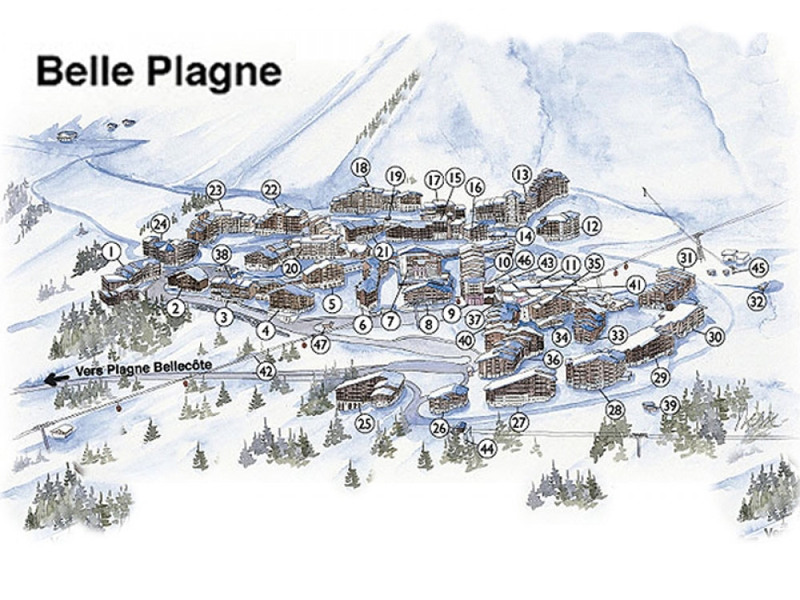 The combined ski area of these 2x resorts in called Paradiski - a total of 425kms of pistes and 2x glaciers. 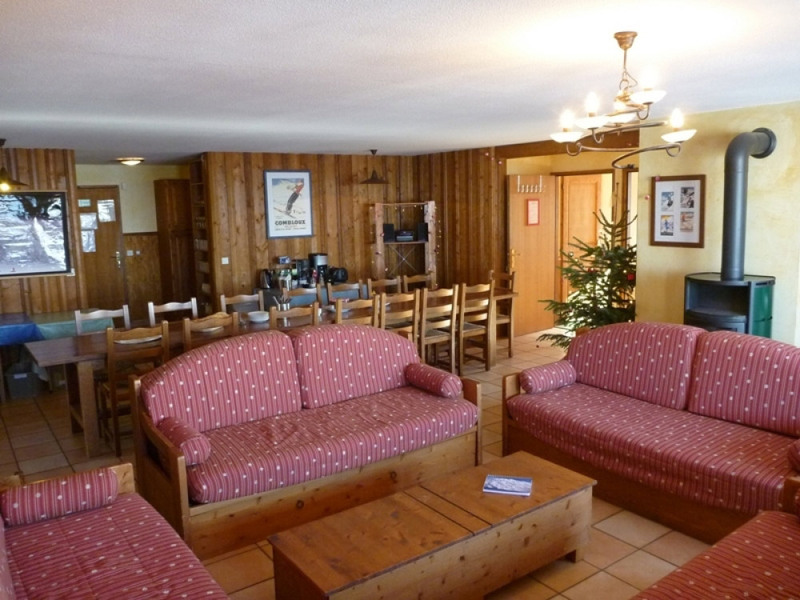 Bookings welcome from groups of up to 16x wishing to take the whole Chalet. Normal occupation 14x guests. 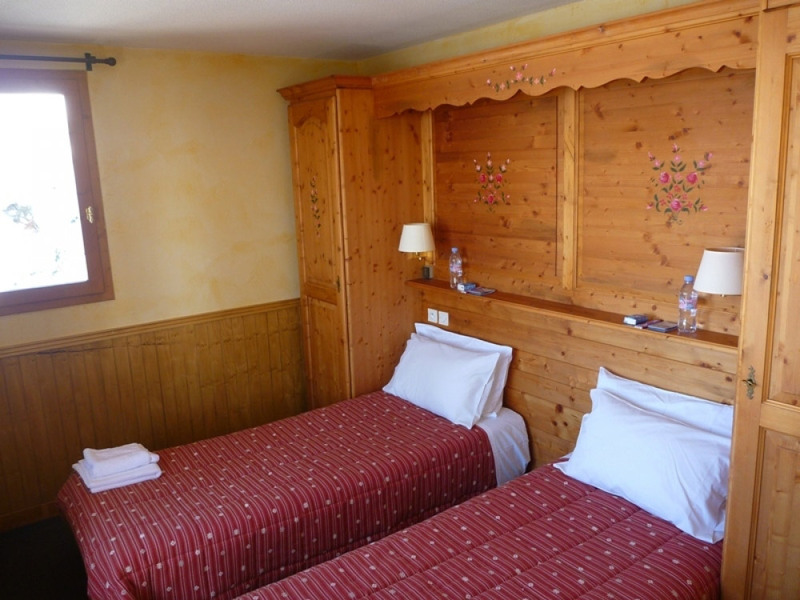 There is the possibility of 2x Sofa Beds to fill the chalet to 16 persons (infants in cots can be added to this number). Visit our website (see below). - Bedroom7: Twin. En-suite with jacuzzi bath and shower over. Access to balcony. - Open Plan Lounge/ Dining / Kitchen area: 4 Large Sofas seating up to 16x adults. Log Fire. 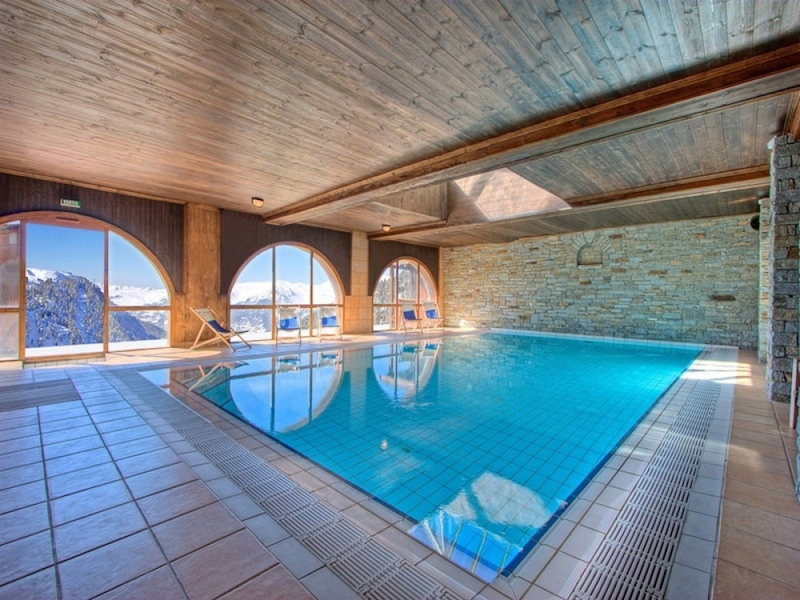 Access to Balcony with views of piste and sunsets. Dining area. Kitchen. - All guests 18years and over are liable to Tourist Tax of approx 2.50Euros pppd. 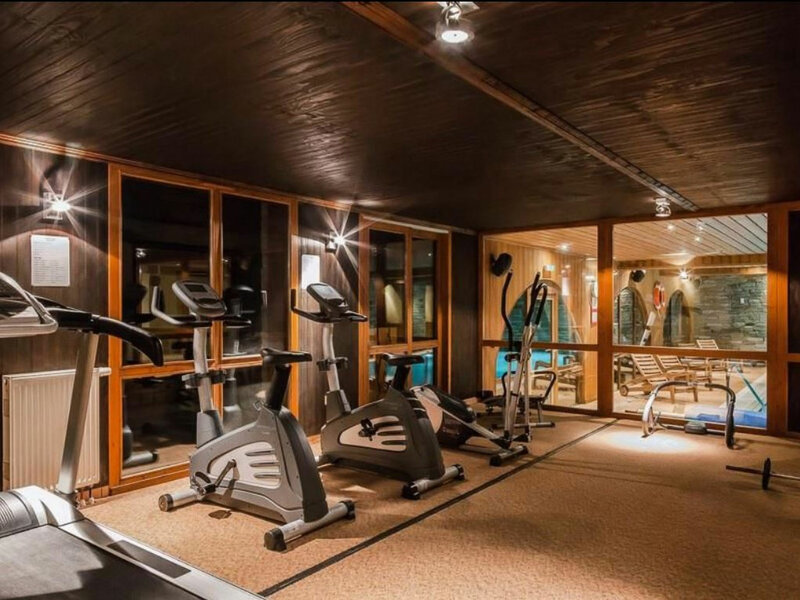 This will be added to the accommodation balance. - Deposit 30% at time of booking, balance due 10weeks before arrival. - Payment can be in Euros - or the Euro rate converted to GBP at time of payment. - Payment can be made by bank transfer (Euros,GBP) or secure card payment (GBP). All rates confirmed before booking.